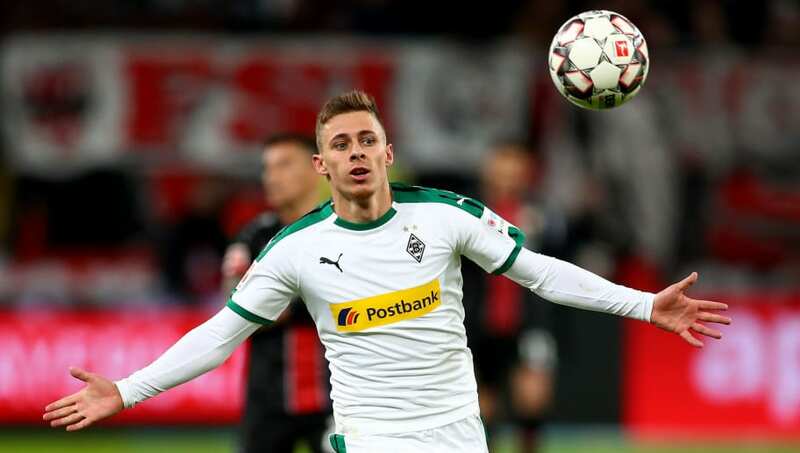 ​Borussia Mönchengladbach sporting director Max Eberl has confirmed that Thorgan Hazard will leave the club this summer, though he admits he doesn't know where the Belgian international will go. The Bundesliga outfit, currently fifth in Bundesliga, were keen to extend the 26-year-old's contract, which expires in 2020, but the Belgian declined the offer. Speaking on Hazard's future, Eberl told Sky Germany (via ​bulinews.com): "Thorgan has informed us that he doesn't want to extend his contract and that he wants to leave the club in the summer to take the next step. I've heard this statement 15 times in the last 10 years as really great players have left us. That's the way it is for us. "We'll have to see where his path will continue. I don't know whether it will be at BVB, who are constantly being mentioned, or at Atlético Madrid, ​Liverpool or another club." Indeed, Jurgen Klopp is rumoured to be planning a second approach for Hazard after missing out on the attacking midfielder in the January transfer window, with Die Borussen keen on the high transfer offer the Reds will be able to provide. However, a recent report from ​Kicker claims that Hazard favours a move to Borussia Dortmund, who are prepared to offer €40m for the playmaker as they push hard to replace the outgoing Christian Pulisic, who will join ​Chelsea this summer. Hazard will likely enjoy greater minutes at ​Dortmund than he would in Liverpool's current lineup, which may sway his decision in favour of BVB. Dortmund signing Thorgan Hazard for €40M smh. Poaching the best talent from a rival once again. Imagine how good Gladbach could be if Dortmund stopped buying all of their players, disgusting. Hazard, whose brother Eden is also in the final year of his contract at Chelsea and is rumoured to be on the ​verge of joining Real Madrid, has 12 goals and 11 assists in all competitions for Mönchengladbach this season.